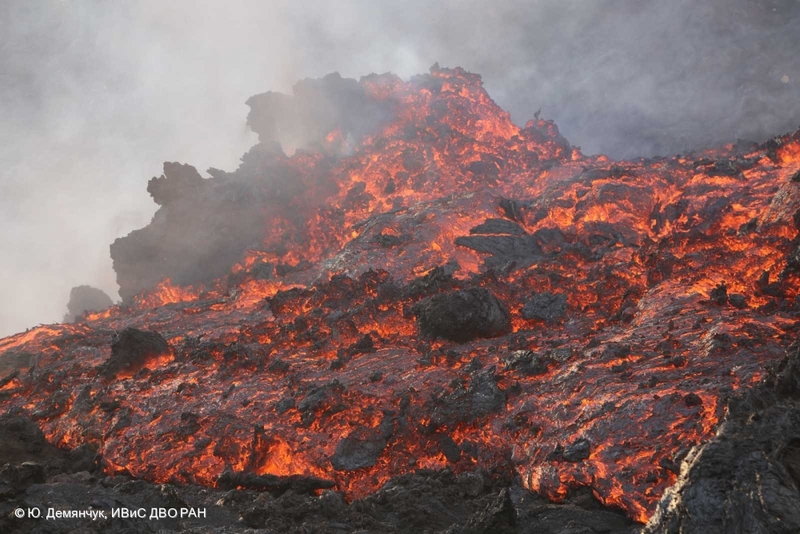 New lava of eruption at Tolbachinsky Dol. Lava River into Lava canyon at Tolbachinsky Dol, 15.12.12. 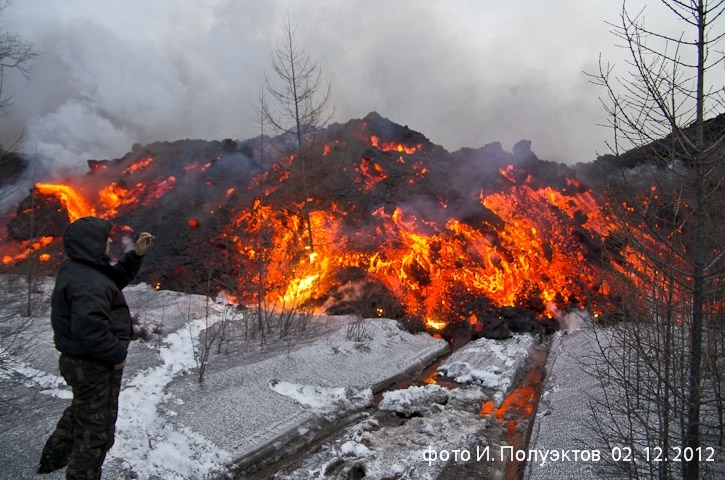 Lava River into Lava canyon at Tolbachinsky Dol.15.12.2012. 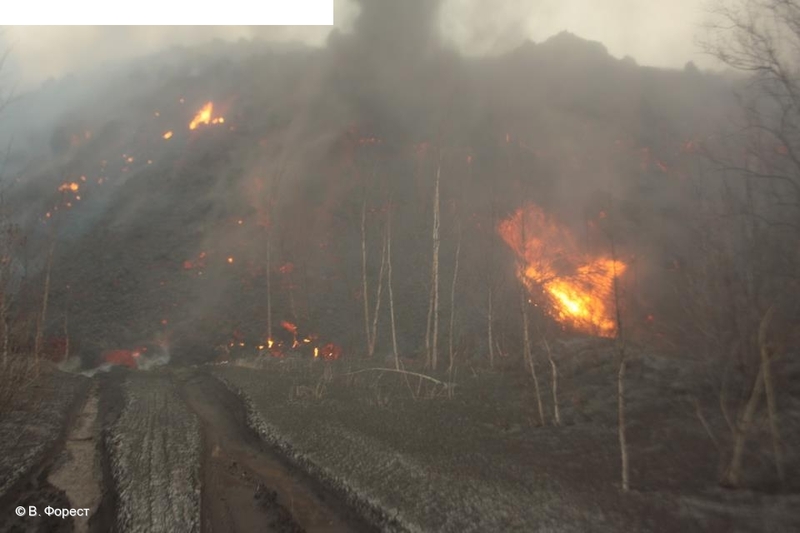 Lava River from the Southern fissure at Tolbachinsky Dol 15.12.12. 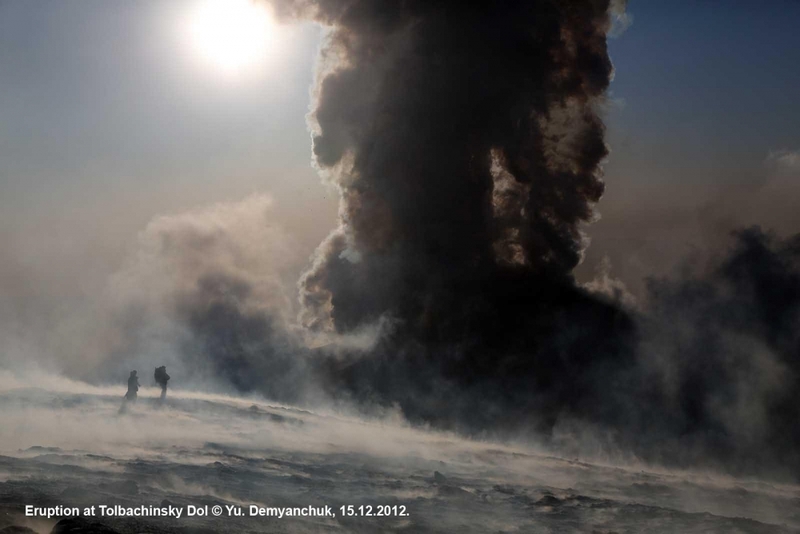 New lava at Tolbachinsky Dol on 15.12.2012. 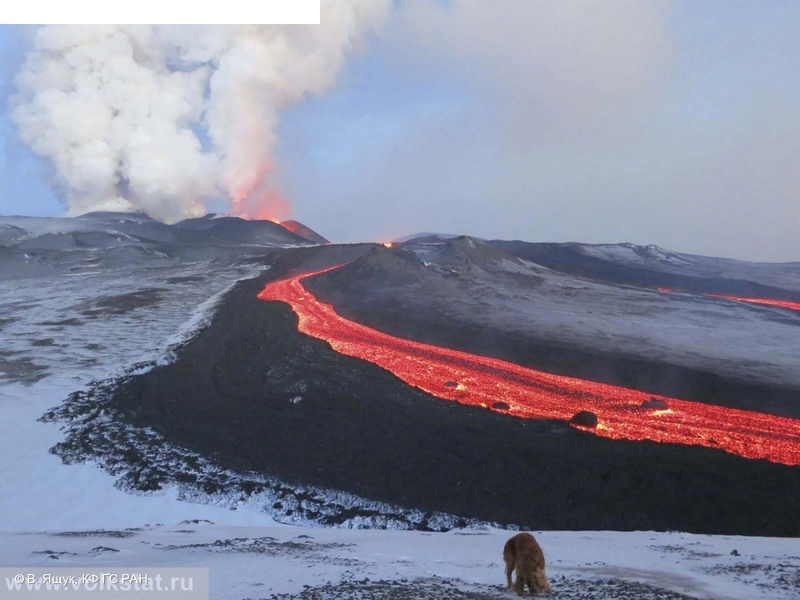 Lava River from the Southern fissure at Tolbachinsky Dol 15.12.2012. 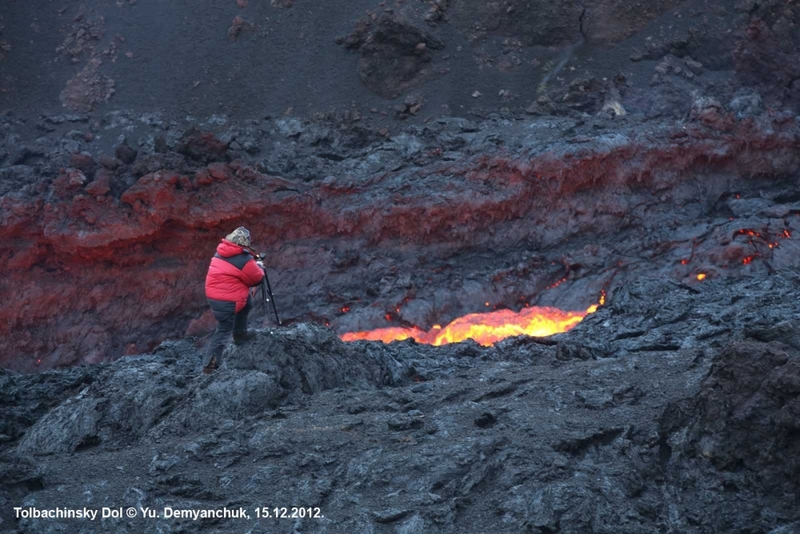 Lava fountain into new cinder cone at Tolbachinsky Dol on 15.12.2012. 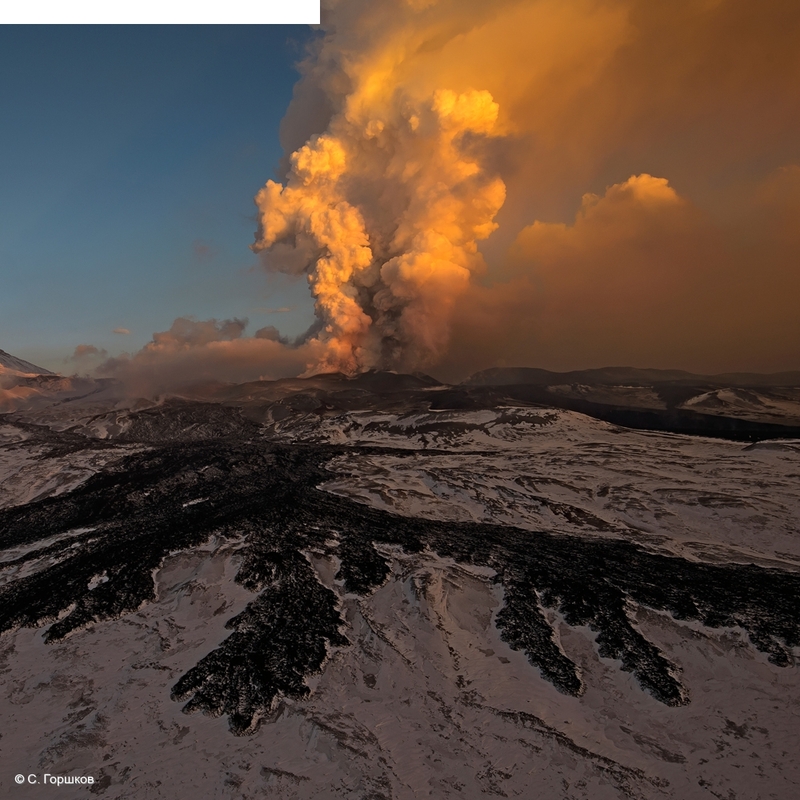 Long Live Eruption! Salute! 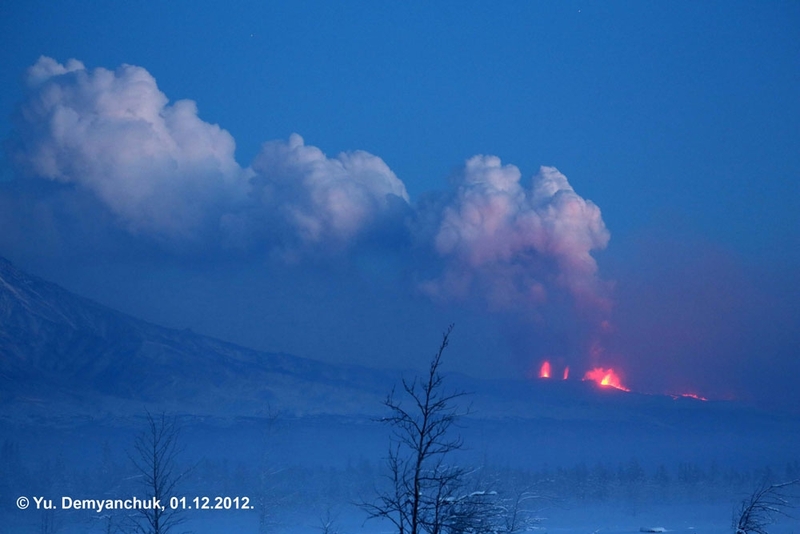 Eruption at Tolbachinsky Dol on 15.12.2012. 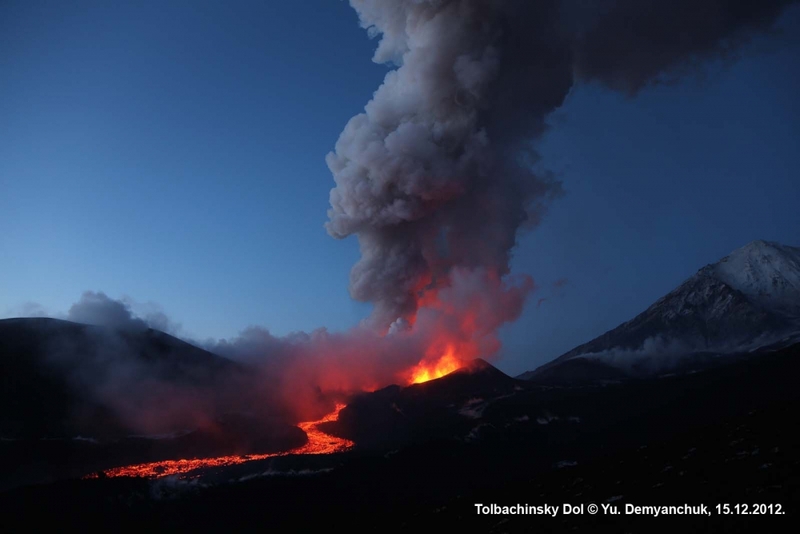 Fissure eruption on Tolbachinsky Dol and fumarole activity of Plosky Tolbachik crater edge. 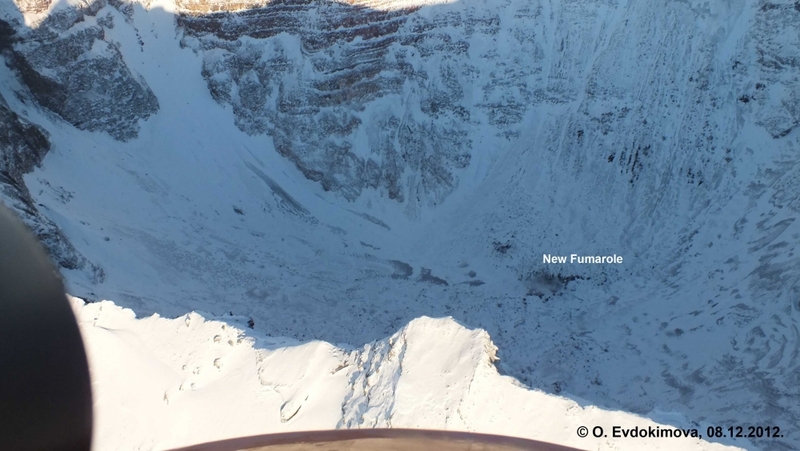 Fumalole was detected on the bottom of Plosky Tolbachik crater, at first for ~30 years. 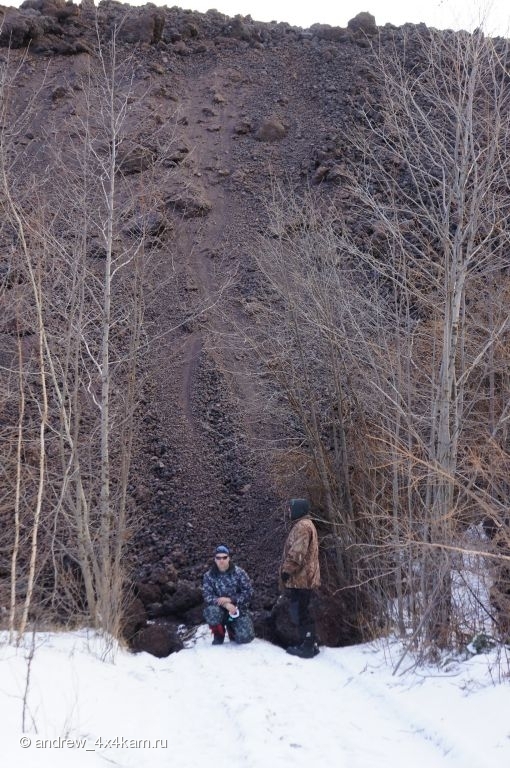 New cinder cone grows on the Southern fissure above of cone Krasny. Lava flow effuses from this new cone. Starboard side of the lava flow about 10-12 km from the vent. 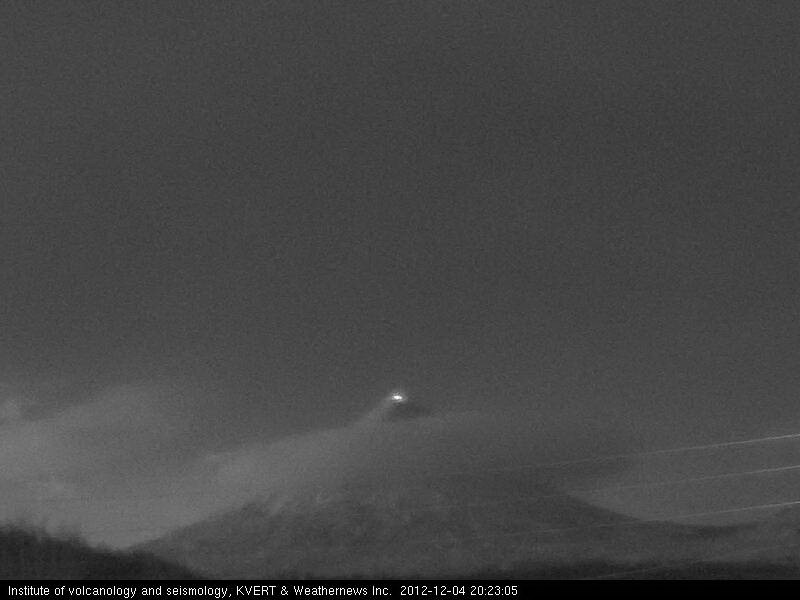 Lava still moves - you can see an incandescence of top of flow. 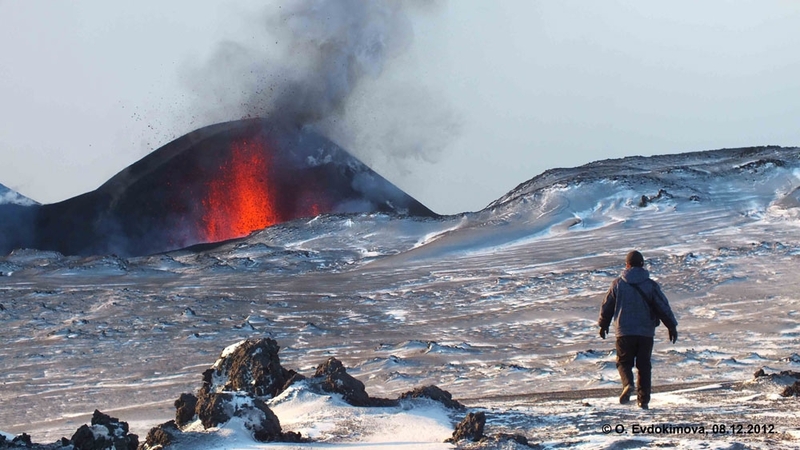 Explosive activity and lava flows of the Southern fissure, 2012 eruption. 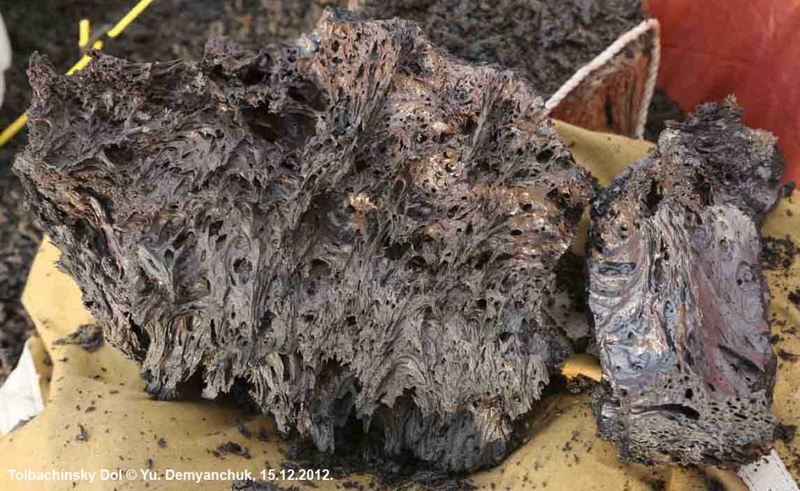 New lava portions from Southern fissure, 2012 eruption. 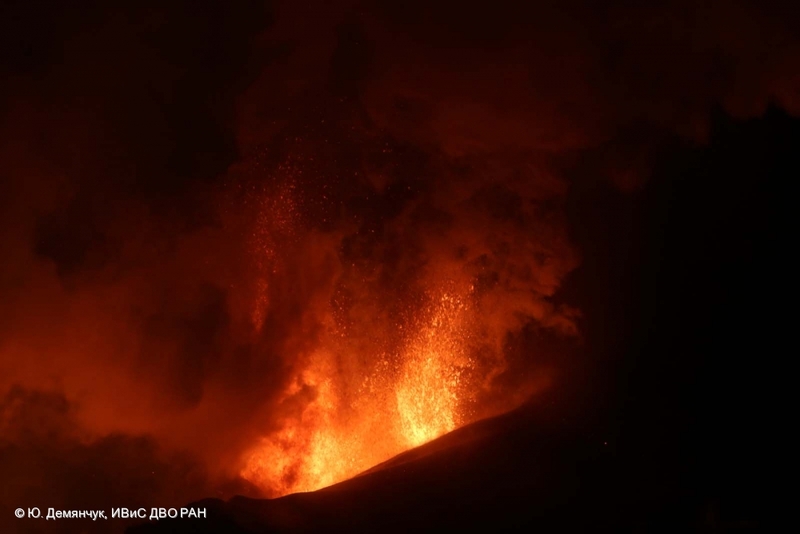 Strombolian activity of the volcano, 04.12.2012, 20:23 UTC. 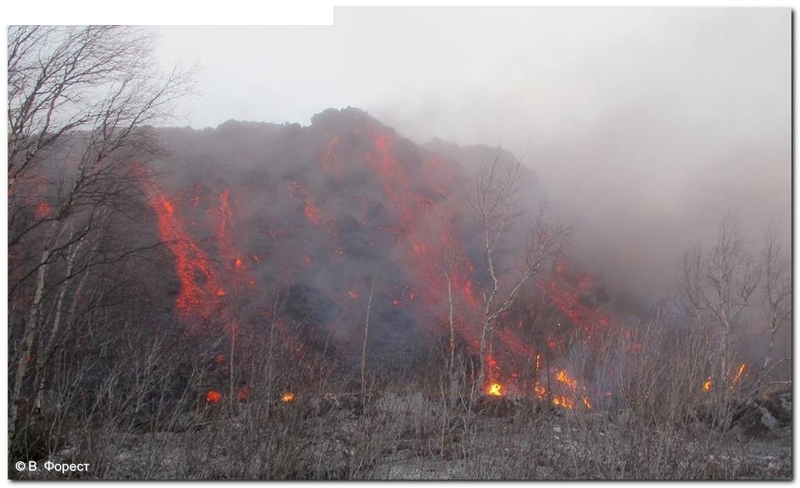 Lava flow front of the Southern fissure, 2012 eruption. 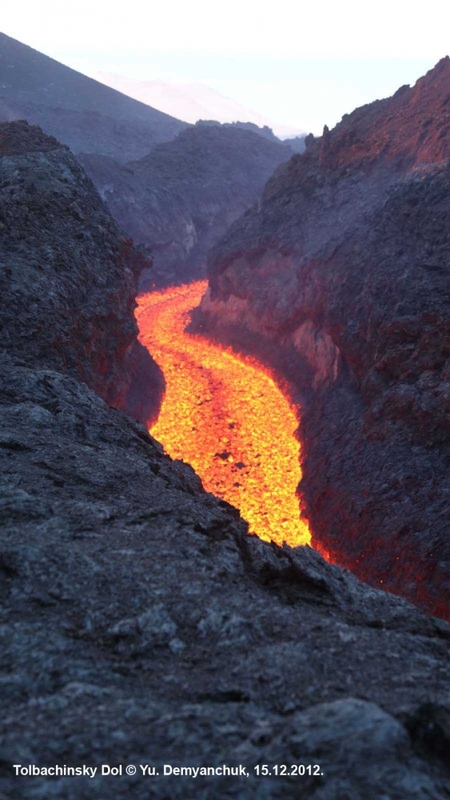 There is a strong lava decontamination. 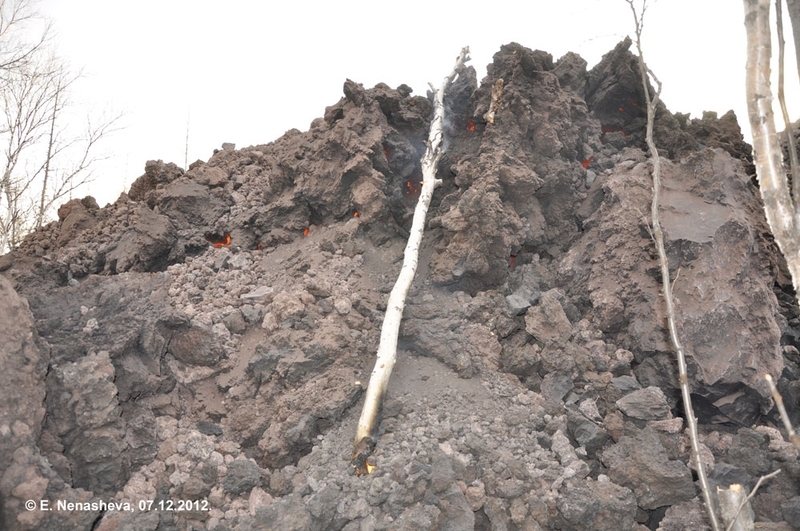 Lava flow front, an effusion of the Southern fissure, 2012 eruption. 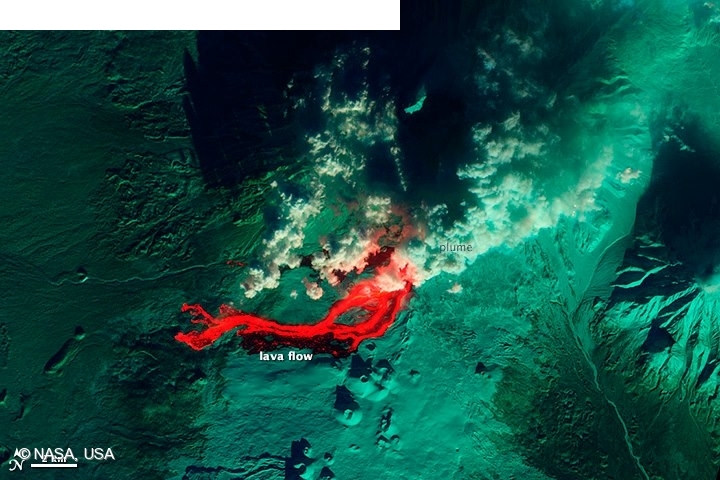 Lava flow front, 2012 eruption. 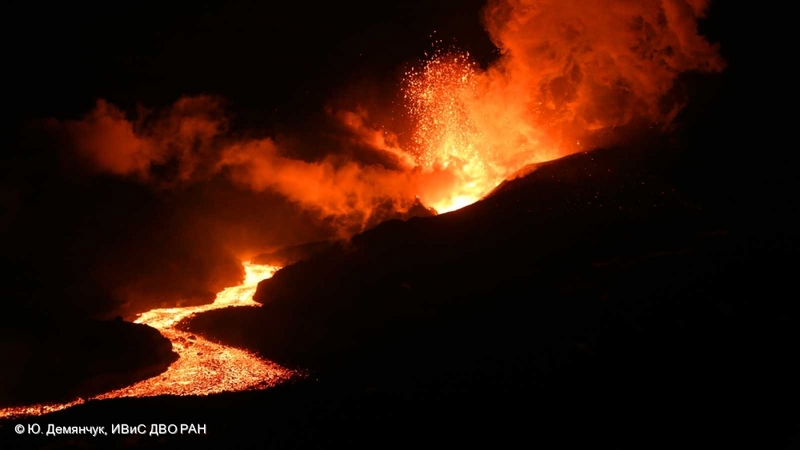 Strombolian activity and an effuse of lava flows from Southern fissure continues. 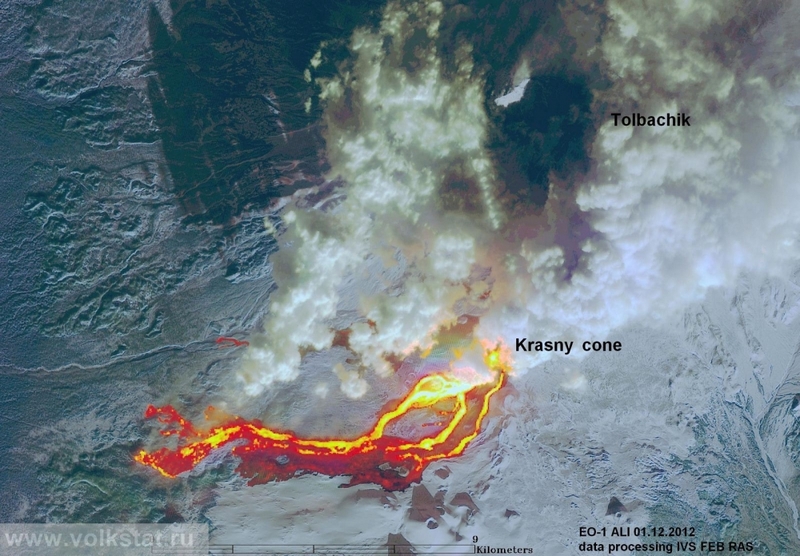 Lava flows of 2012 eruption at Tolbachinsky Dol. 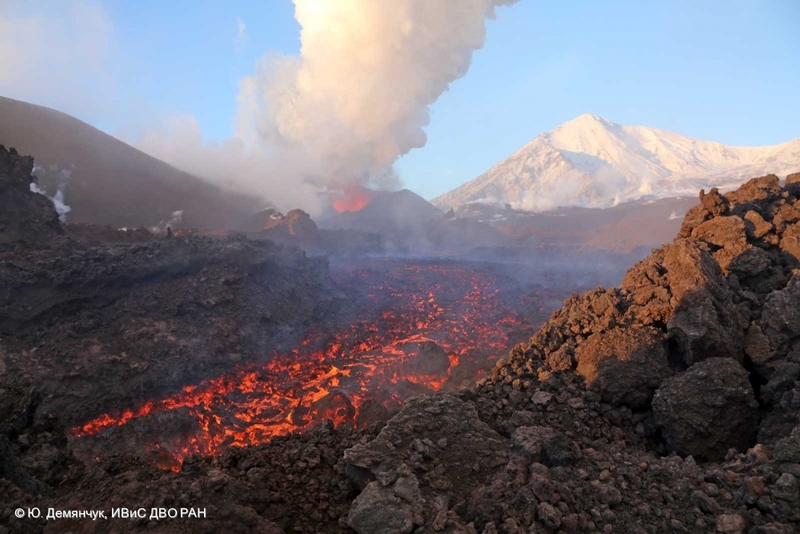 Effuse of lava flows on the western slope of Tolbachinsky Dol continues.